Earlier, Vivo has announced that the V5 Lite will be available for the Philippine market starting this Feb 25. It's the most affordable #PerfectSelfie line (V5 and V5 Plus) that still packs a punch on paper. How? Even with a more affordable price tag, the mobile giant was able to maintain identical construction and most of the good configuration found with the regular V5. That made this handset appealing for that quite large PHP 2K difference. Now, let's verify if this is really the affordable Vivo V5 and OPPO F1s alternative to get. 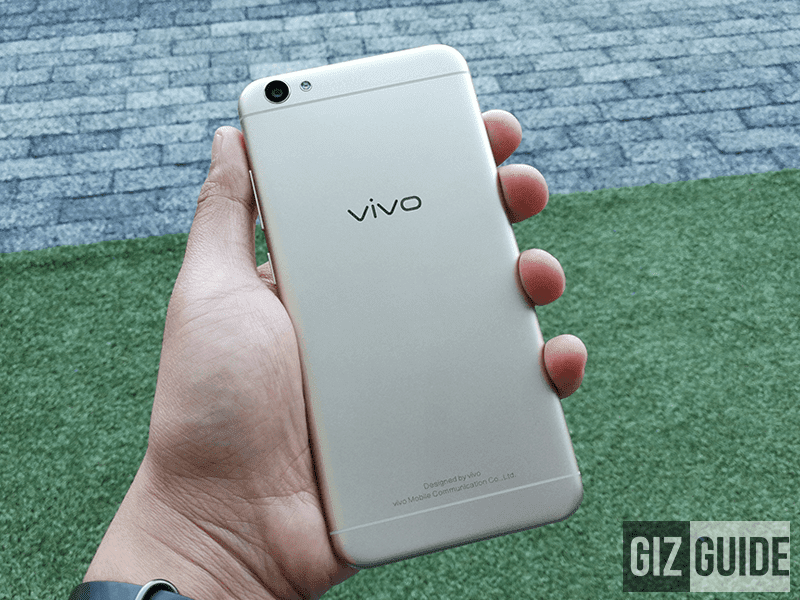 Report: Vivo V5 Lite Is Now Priced Lower At PHP 9990! 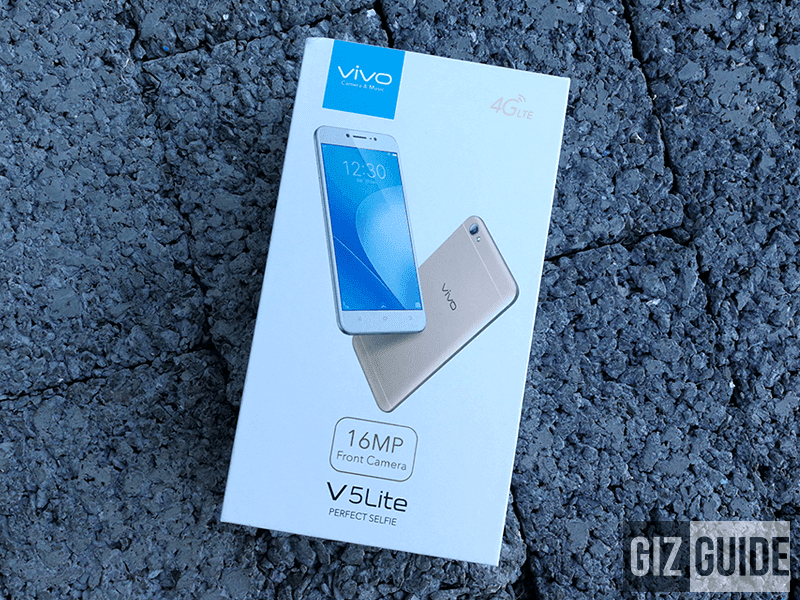 Disclaimer: This V5 Lite smartphone was borrowed from Vivo Philippines for this honest review. This is not a sponsored post. Just like its higher-end siblings, the V5 Lite is presented in a clean and close to complete manner. 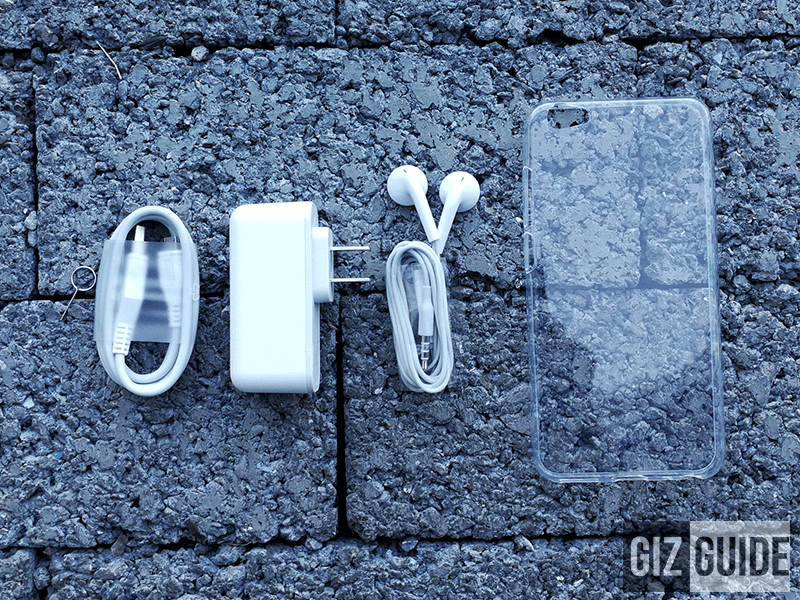 The easy to open box contains the almost complete set of accessories you'll need when buying a new smartphone. The package is near complete! It has a 1A USB wall charger (for regular charging speed), micro USB to regular USB data / charging cables, and earbuds with mic for calls. Vivo was also generous enough to throw a good type of flexible TPU case and pre-installed tempered glass for added protection to your unit. When compared to the V5, the similarities are strikingly obvious. It looks the same and has the same construction. The only difference is the V5 Lite doesn't have a fingerprint scanner anymore which was replaced with a non-lit Android capacitive keys. Construction is mostly plastic, but it is protected with a good type of TPU case and tempered glass! Anyway, the construction is mostly plastic. It has a metallic finish in a unibody frame which feels good and well built (yes, even if it is plastic). On top, the 5.5 inch HD display is protected with 2.5D unverified grade of Gorilla Glass protection. The body should be good enough to withstand moderate abuse and prevent hairline scratches on the screen. We're glad that Vivo included a free case and pre-installed tempered glass to make sure. Design-wise, it reminds us of a combined V5 and Y55. 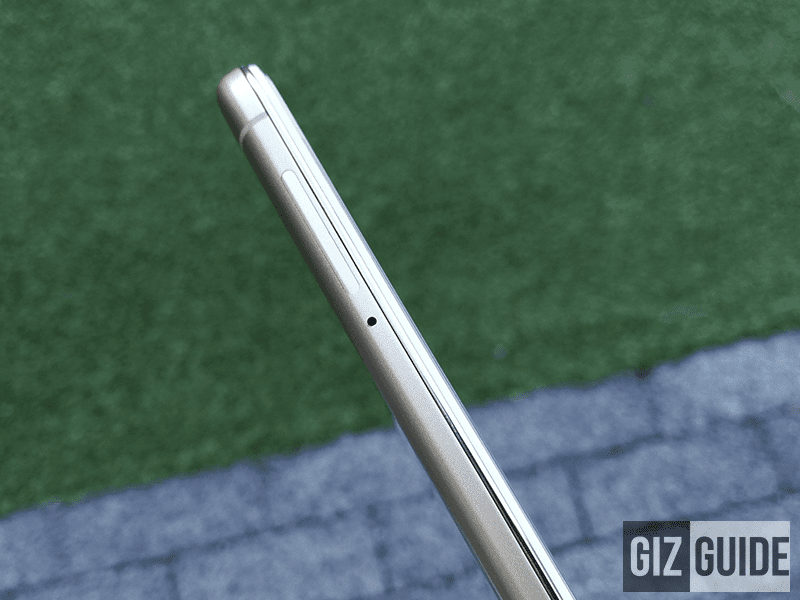 It's iPhonish with decent curves, nice antenna band design, good slimness, and non-protruding main camera. The rest of the buttons and ports are on standard placements. When protected with the soft TPU case, the handset feels very good to hold. 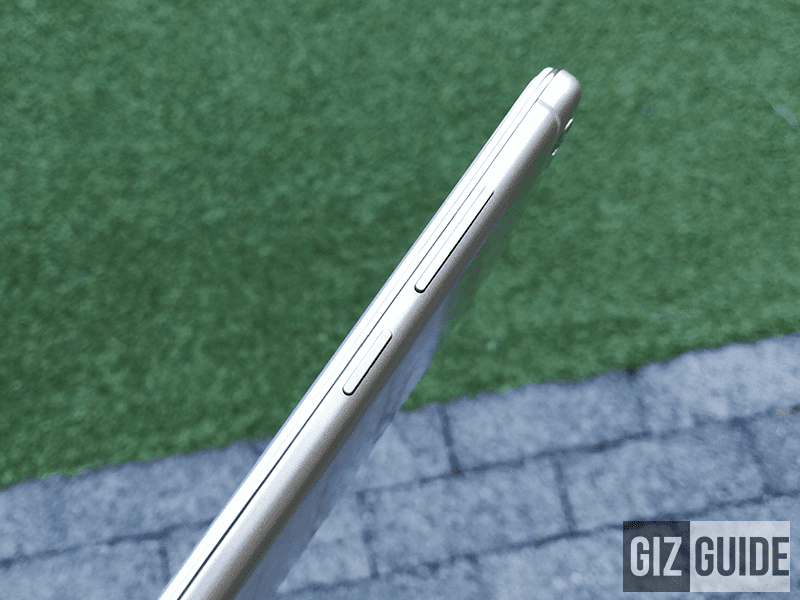 Without the case, the tempered glass has slightly disturbing sharp edges that you can feel. Gladly, it's lightweight and non-fatiguing to hold at just 154 g.
1. The handset has a good type of HD screen similar to what you can experience with the regular V5. The build is decent even if it is made out of mostly plastic materials. We like that it is lightweight as well. 2. The MT6750 chip is proven to be decent in performance (for the price) for the regular V5, we expect the same performance with this "Lite" variant. 3. The main camera has a pro mode w/ up 16 seconds shutter adjustment for long exposures. The selfie camera appears to be as good as advertised. In our initial test, its focus speed and accuracy is better than V5 and doesn't produce blurry photos from time to time even on my shaky hands. 4. 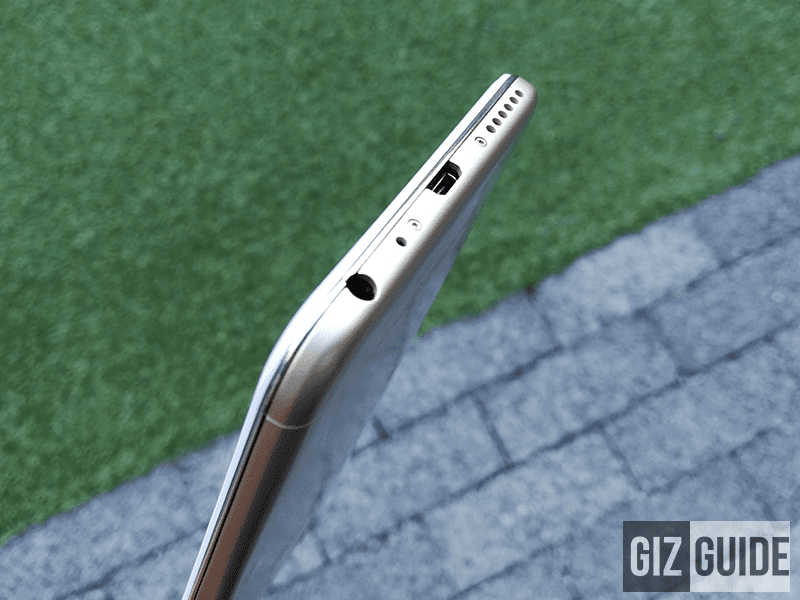 Unlike the rest of the V-series of Vivo, we confirmed that the V5 Lite doesn't have HiFi chip inside. 5. The fingerprint scanner was replaced with the traditional non-lit Android keys to keep the cost down. Gladly, OTG still works and there's LED notification in front. Related: Vivo V5 Lite: First Selfie Samples! On first look, this Vivo V5 is shaping up to be a real selfie contender even with its more affordable price tag. If you don't need a fingerprint scanner and you can live-up with a slightly lower 3 GB of RAM, this device is looking very good by far. For our review: Vivo V5 Lite Review - The Selfie Machine Under 10K!